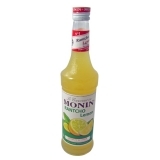 Developed to re-create the taste of the famous American Key Lime Pie and Lemon Meringue Pie, Monin Lemon Pie syrup in a stylish 70cl glass bottle this extraordinary mouth-filling sweet sour pudding. 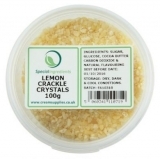 Lemon Pie takes you on a journey to dessert heaven from the taste bud tingling, crisp lemon curd through to the moist, moreish sugar crust pastry, leaving you wanting more. Key Lime Pie and Lemon Meringue Pie are both meringue topped pies with a shortcrust pastry base, filled with either egg yolks, sweetened condensed milk and the zest of Florida Key Limes or a lemon curd made with egg yolks, sugar, lemon juice and zest. Taste: Nose of citrus and crusty pie, slightly acidic, rich lemon egg cream taste with notes of crumble pie. 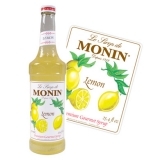 MONIN Lemon Pie syrup allows you to create unique cocktails. I like to mix it with milk in a blended drink in order to create an incomparable beverage. 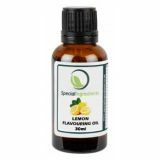 Sugar, water, concentrated lemon juice, natural lemon-lime flavouring, flavouring, emulsifiers: acacia gum, E445, Colouring agent: E161b. Lemon juice 7%.